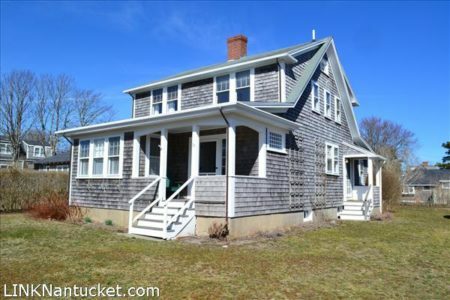 Charming bungalow – style two story house on a large lot in the heart of Sconset. The house was built circa 1920s and renovated in 2011 with all modern conveniences, wood floors, wood-burning fireplace, front porch and a large yard. Included on the property is a large bunk-house with a laundry room and bath with shower. The oversized lot allows for at least double the current ground cover. Outdoor shower. .